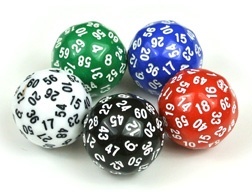 The world's first mass-produced d60. Each face in this beautiful polyhedron is kite shaped. A computer search was used to distribute the numbers as uniformly as possible. Approximately 36 mm across. 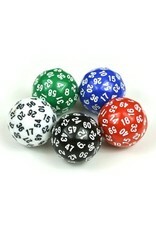 What can you do with a d60? Available in black, white, red, green, or blue.